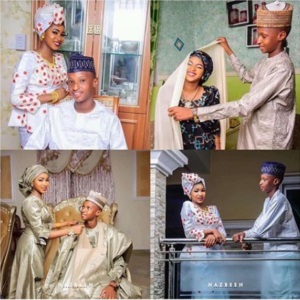 It was scooped that Aliyu is following his family tradition of marrying early. The male children of his family marry at the age of 17, while the female ones marry at 15. However, in extreme cases, they marry at the age of 19. The tradition was allegedly embraced to prevent them from fornicating and also to allow them see their grandchildren. Read Tips For Blending Into A New Culture When You Relocate.